Among the superfoods, bergamot is the most accredited. The bergamot, the typical citrus of Calabria, is among the superlatives is the one that has garnered more support from the international medical community, thanks to about 350 polyphenols that are found at high concentration and have antioxidant, anti-inflammatory and vasoprotective properties. A superaliment that includes two polyphenols, unique and very effective in controlling cholesterol, to the point of being considered as a real natural “statin”. They are two compounds identified in the fresh bergamot juice (but also present in the part of the skin and in the white part of the fruit) that act on the synthesis of cholesterol, reducing its levels in the blood. The bergamot continues to surprise with the beneficial positive effects in the reduction of blood sugar and in the activation of some organic antioxidants. 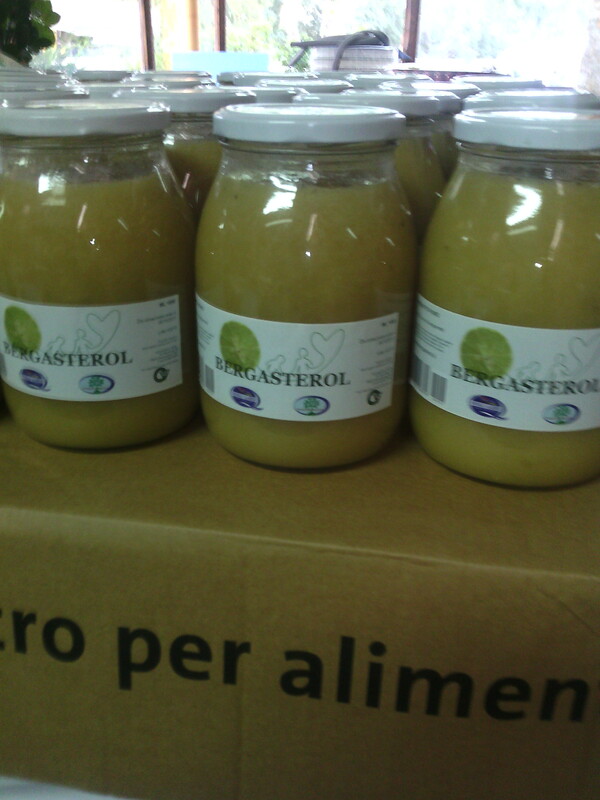 Superfood made in Italy, the Bergamot, Bergasterol. The scientific community made up of several Universities in the world and Associations of doctors therefore indicate that they start breakfast with a bergamot juice. The bergamot in the morning and fasting so as not to worry about cholesterol, but also to keep fit and healthy. Bergamot, Bergasterol, is one of the few products on the market that is classified as natural and with albedo, the white part of citrus. The bergamot has always ranked as the excellence of Calabria. Its production is concentrated in this area and from here comes the essential oil of bergamot from which are produced over 300 of the famous brand perfumes. Through recent studies in the agri-food application, bergamot, bergamot juice is the supremacy par excellence of Italy and Calabria. In the food sector, bergamot is increasingly in demand: its pulp is used in confectionery and to prepare infusions, teas and soft drinks. The fresh bergamot is available on the market from October to February. It usually has the size of an orange, there are three types, feminine, fantastic and chestnut from the cholera, yellow-green almost like a lemon, has bitter and bitter pulp, very fragrant and refined. The ideal way to enjoy it is to eat it in a salad, seasoned with sweet olive oil. But in the kitchen the bergamot is particularly used in salads, teas and herbal teas and as a substitute for oranges or lemons in meat recipes, from duck to scallops. With its intense and citrusy aroma it is perfect to temper recipes with too strong flavors, such as cake with anchovies au gratin and sardines, or to dampen the wild flavor of wild boar, hare or pigeon meat. A perfect match is with clearly sweet foods such as crustaceans, from lobster to shrimp. Bergasterol, bergamot juice for health and nutraceutical purposes. For health and nutraceutical purposes, consumers prefer to drink it, its juice can be drunk without contraindications, if desired, it can be diluted with water, or sweetened with a teaspoon of honey. Or it can be mixed with orange juice, to get super-strengthening and detoxifying, rich in vitamins C, B1 and B2. The fresh bergamot is available on the market from October to February. It usually has the size of an orange, there are three types, femminello, fantastico and castagnaro, yellow-green almost like a lemon, has bitter and bitter pulp, very fragrant and refined. The ideal way to enjoy it is to eat it in a salad, seasoned with sweet olive oil. But in the kitchen the bergamot is particularly used in salads, teas and herbal teas and as a substitute for oranges or lemons in meat recipes, from duck to scallops. With its intense and citrusy aroma it is perfect to temper recipes with too strong flavors, such as cake with anchovies au gratin and sardines, or to dampen the wild flavor of wild boar, hare or pigeon meat. A perfect match is with clearly sweet foods such as crustaceans, from lobster to shrimp. After the study researchers noted that bergamot caused a “strong reduction” in total cholesterol and LDL (bad cholesterol) and a significant increase in HDL (good cholesterol). A significant reduction in triglycerides was also seen. No significant changes were seen in those getting the placebo. After a few years of recent studies on the bergamot juice as a remedy for cholesterol present our product “bergasterol” to the whole world. Bergamot with the active highlighted by the university, is produced only in Calabria, southern Italy. The origin and quality of Bergasterol bergamot juice give all the guarantees of effectiveness. The Bergasterol is a unique and inimitable, you buy only from us.